(May 3, 2016) – A Fort Valley State University student has died following a fatal stabbing on the main campus this afternoon. Campus Safety Police Chief Kenneth Morgan has identified the deceased victim as Donnell M. Phelps, a freshman Agriculture Engineering Technology student from Marshallville, Georgia. The unidentified suspect also reportedly stabbed campus safety officer Ernest Johnson during the afternoon attack near the main campus gate. The suspect was taken into custody on campus shortly following the attacks. The Georgia Bureau of Investigation is handling the investigation with assistance from campus police. Fort Valley State University president Dr. Paul Jones said he was saddened by the tragedy. “I am deeply saddened by the senseless violence that has led to the tragic death of one of our students,” Jones said. 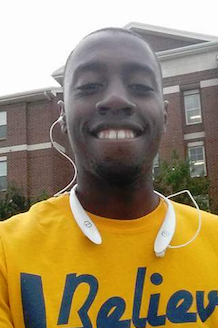 “ My heart and the hearts of the entire Fort Valley State University community go out to the Phelps family. We likewise are concerned for the families of all other persons involved in this terrible event. Grief counselors are on campus and providing services to Fort Valley State University students. A prayer vigil also was scheduled on campus at 8 p.m. at the Student Amenities Building.